Russia’s President Medvedev has discussed with his Turkmen counterpart prospects for future co-operation between the two states. Energy efficiency and new technology will be a priority. "We believe that energy is the key element of our co-operation. 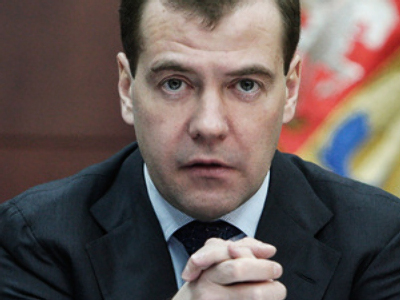 We are ready to further develop interesting areas of this co-operation in the energy sector as well," Medvedev said, cites Interfax. At the same time, he went on, “we must think about the future”. The Russian leader noted that the entire world is now focusing on saving energy and making it more efficient. “I believe that energy efficiency and new technology are essential for our future co-operation,” he said. Medvedev and Gurbanguly Berdymukhamedov agreed to hold a forum on innovations next year in Turkmen the capital of Ashgabat. The Russian leader – who is currently on his fourth trip to the former Soviet republic – described the relations between the two countries as “friendly” and having “good dynamics”. 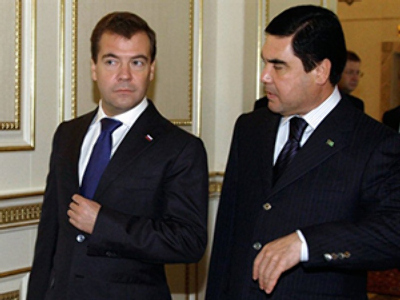 Medvedev told his the Turkmen President that Moscow appreciates Ashgabat's “neutral stance on the key issues of co-operation in Central Asia". "This is not a simple region, and many things depend on Turkmenistan,” he noted. “This is why our efforts to counter the main threats form an exceptional and productive co-operation." 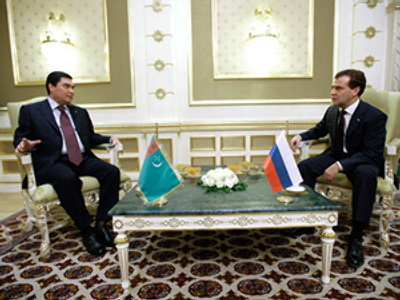 He underlined that Moscow shares the Turkmen stance on the development of co-operation of the Caspian states. He said that it should be based on "a simple but obvious thesis: the Caspian Sea is our wealth, and we can ourselves cope with all problems and all prospects for the development of the Caspian Sea and Caspian co-operation." 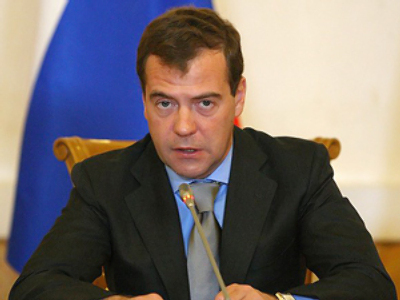 "It is the five states that are responsible for the regime that exists and should be created as to its resources," Medvedev said, quotes Itar-Tass. He added that he hoped that "we will keep developing friendly cooperation in that sphere." Turkmenistan, Russia, Iran, Azerbaijan and Kazakhstan have yet to reach an agreement on remaining legal issues over the ownership and use of the Caspian Sea’s enormous energy resources.